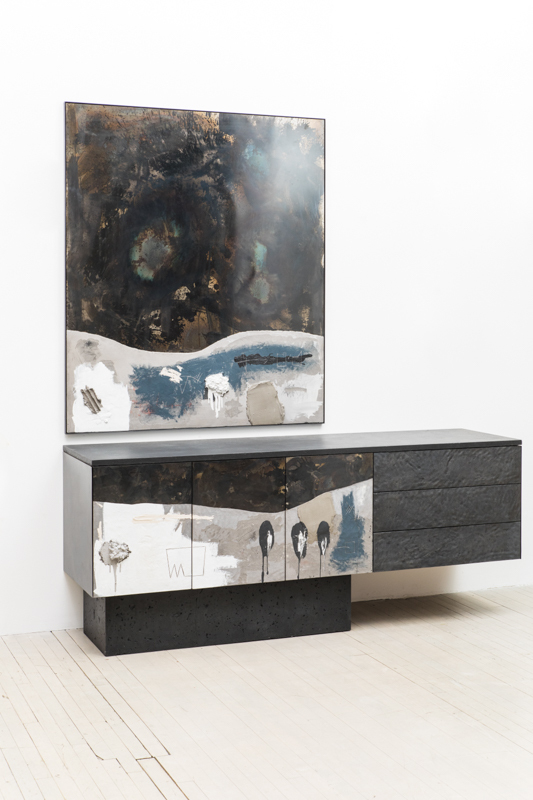 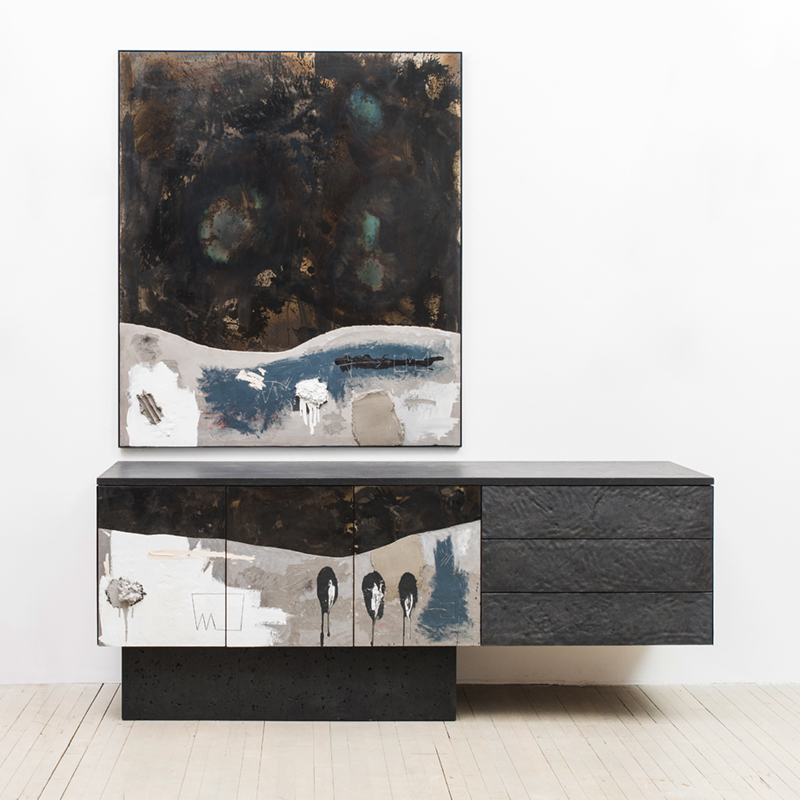 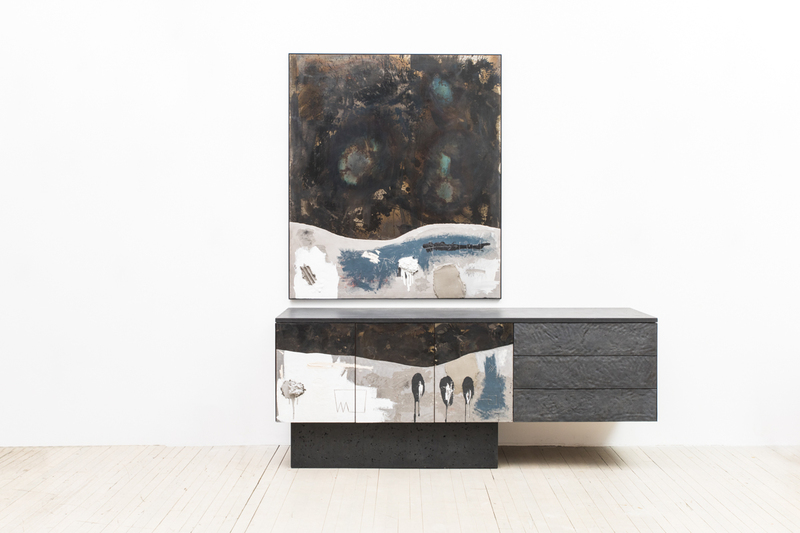 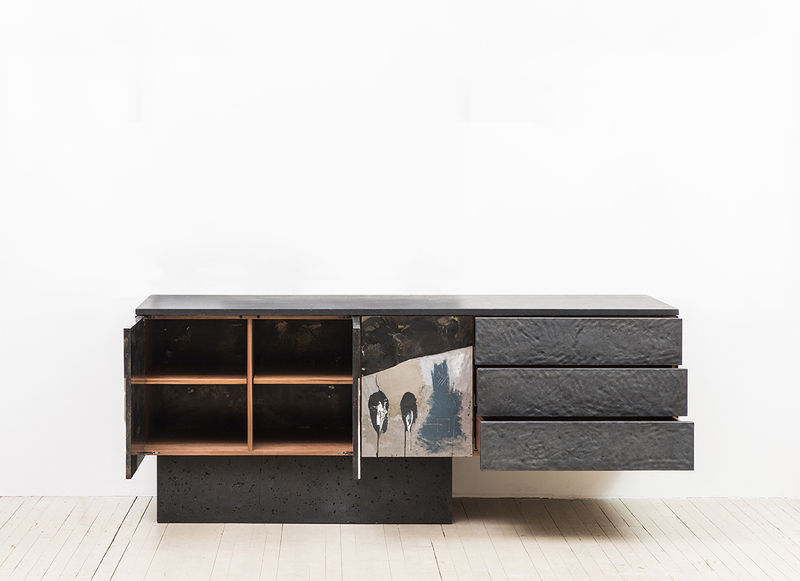 Stefan Rurak’s Credenza Diptych typifies his unique approach to design. 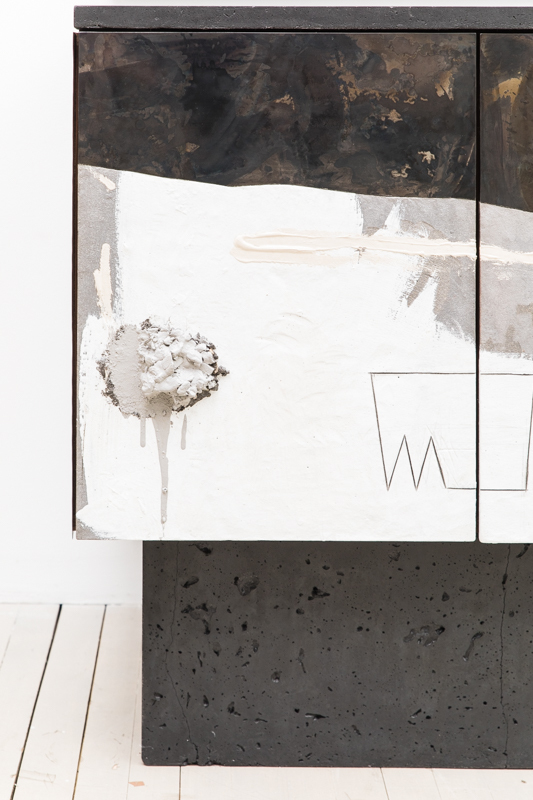 Rurak has translated his truism, denouncing the distinction between art and design, into a literal representation. 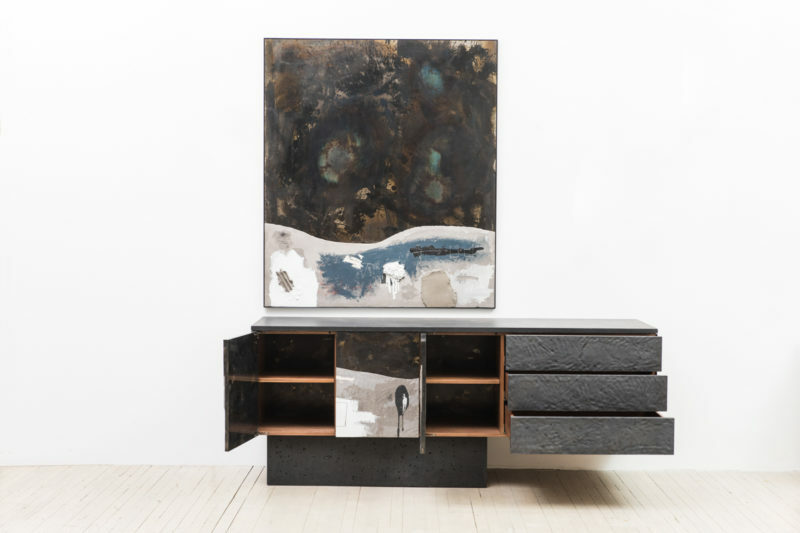 Designed as an integrated work, the Credenza Diptych simultaneously encompasses an artwork and a functional work of furniture. 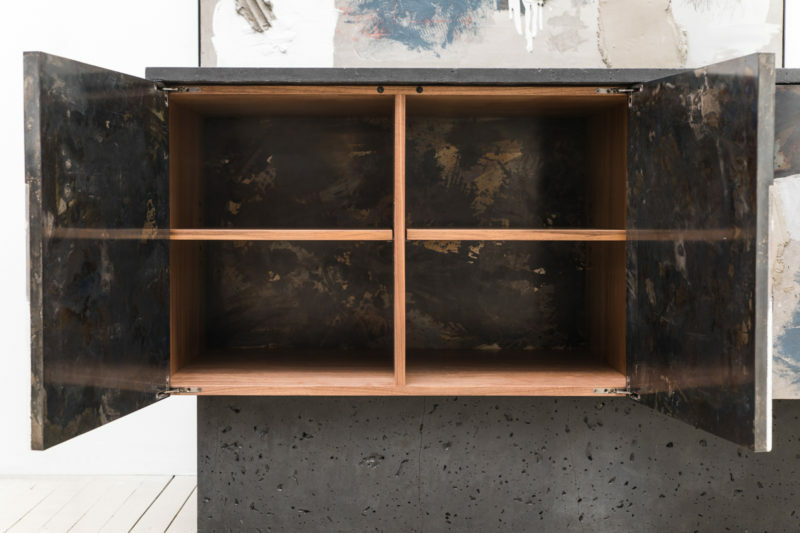 The console features a three door cabinet, opening to adjustable shelving. 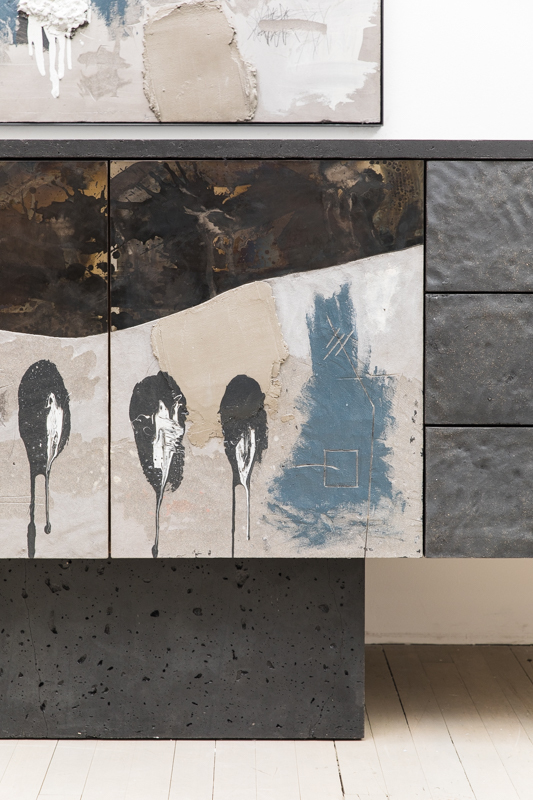 To the right are three drawers faced with cast concrete, punctuated with mark-making, clearly bearing the hand of the artist. 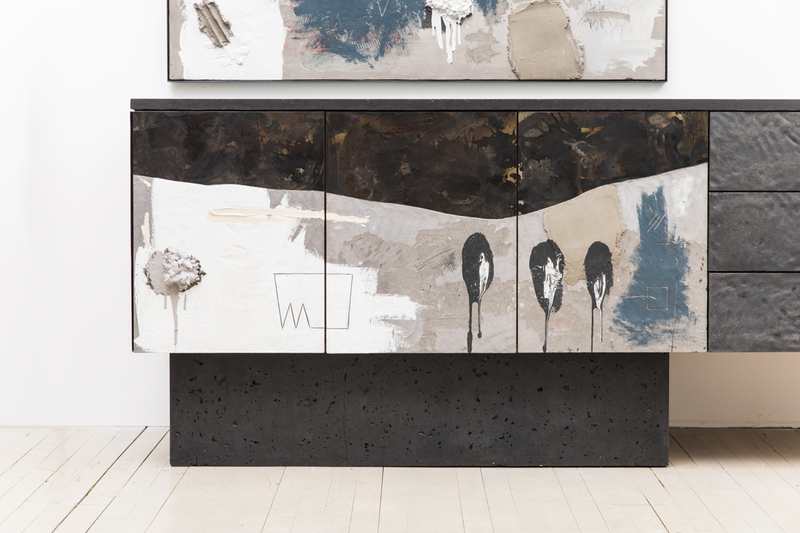 The door panels of the console are extended visually upward integrating with a hanging panel. 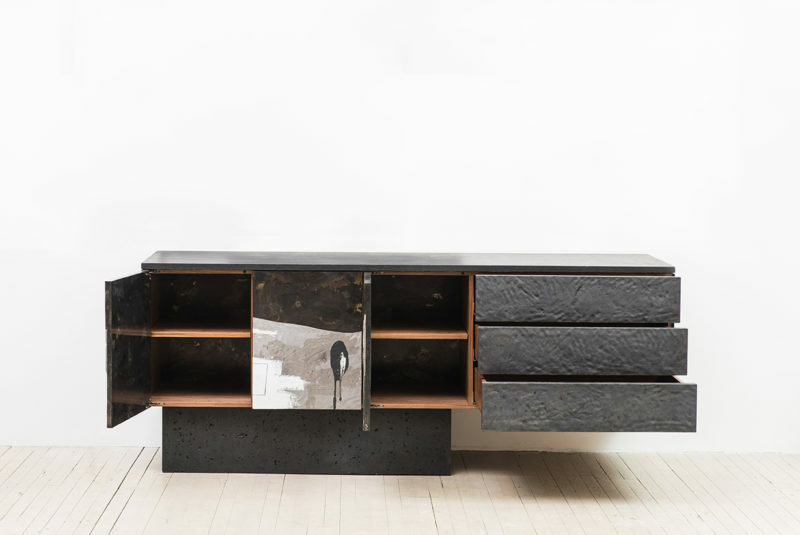 Both the doors and hanging panel are created from flat planes of hand-patinated steel. 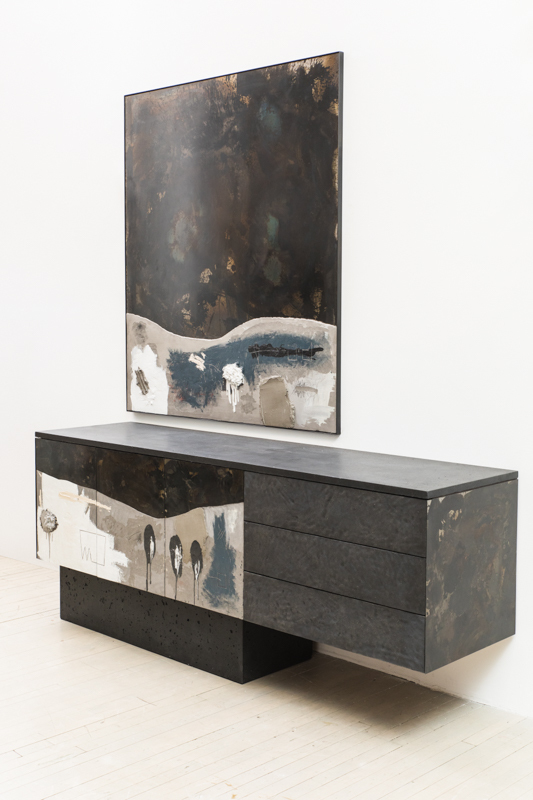 The smooth surface of the steel reads as moody takes on color field painting, with areas populated with splashes and stains before being finished with oil and buffed wax. 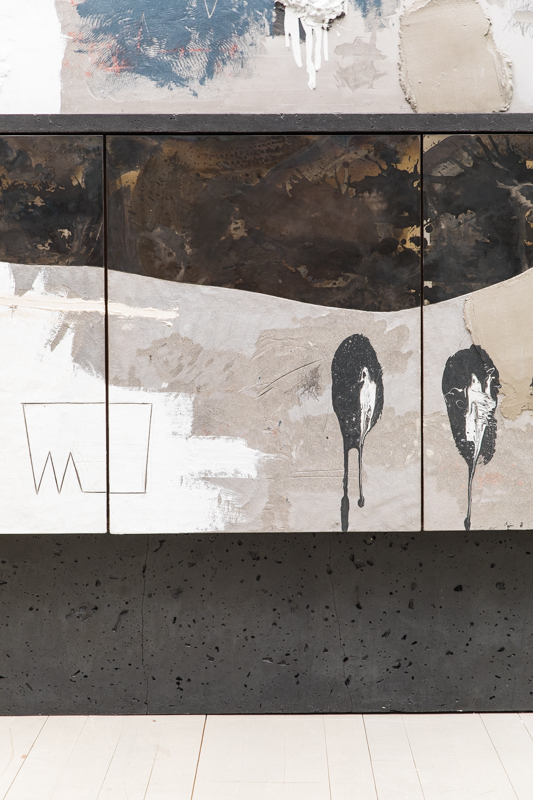 Applied pigmented concrete is built up to create texture somewhere between collage and assemblage. 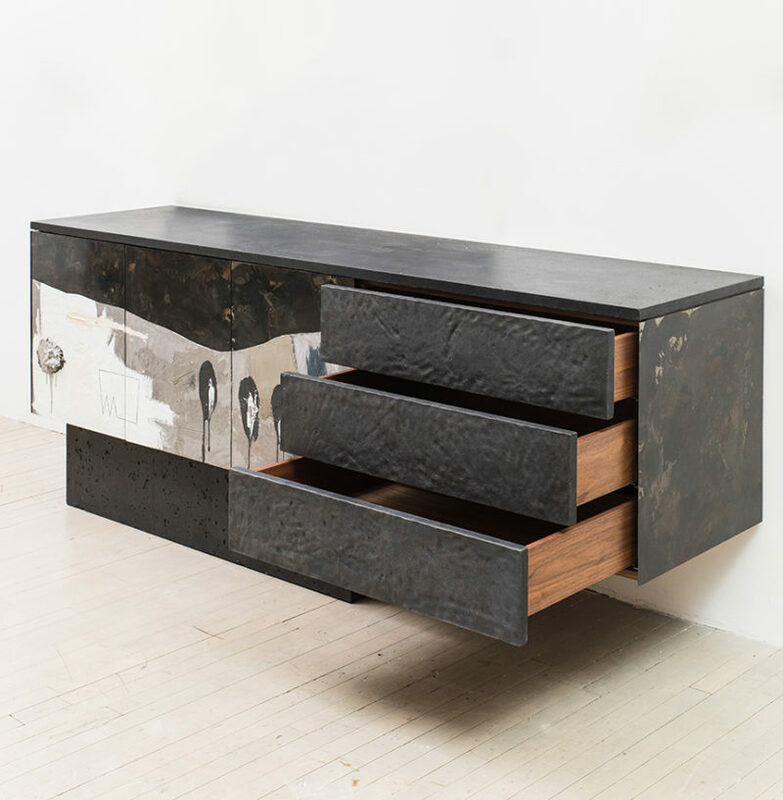 Brooklyn-based Stefan Rurak’s furniture defies conventional boundaries – merging fine art aesthetics, modern conceptual design, and traditional, hand-made craftsmanship techniques. 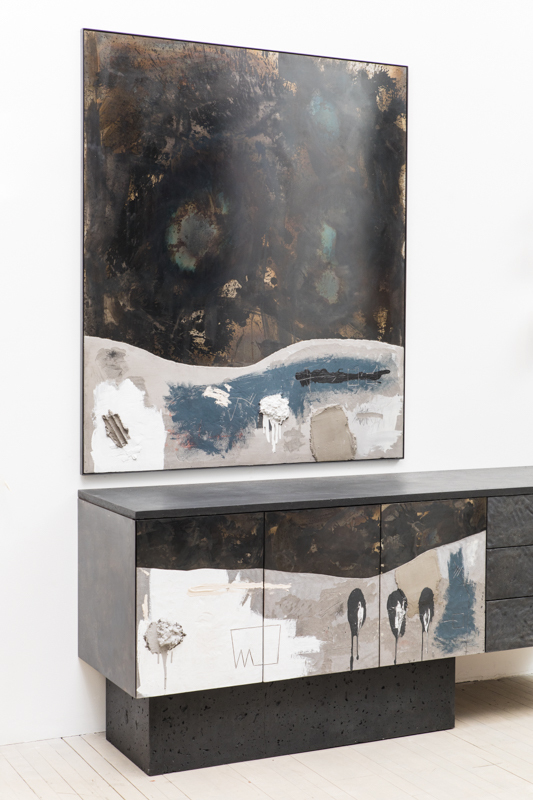 His evocative, one-of-a-kind works are the type of collectible pieces built to span generations. 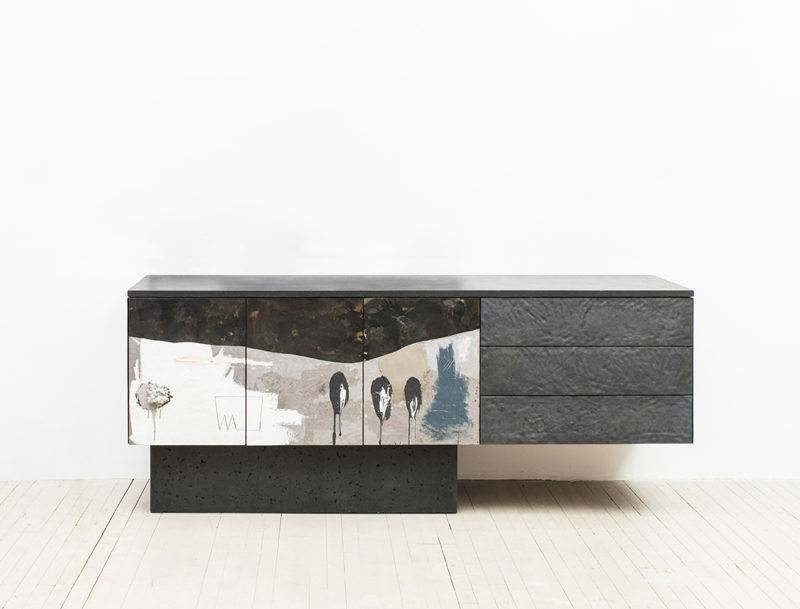 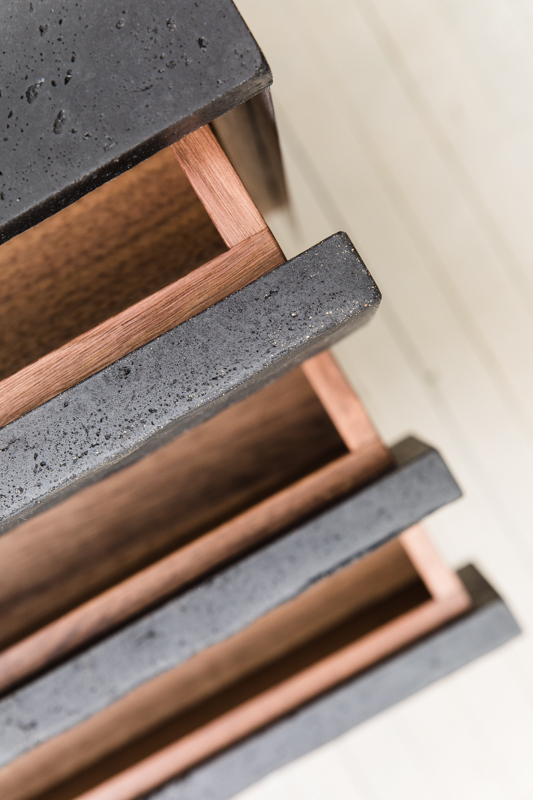 Working with a variety of materials – wood, cast concrete, and steel – Rurak draws no distinction between art and design. 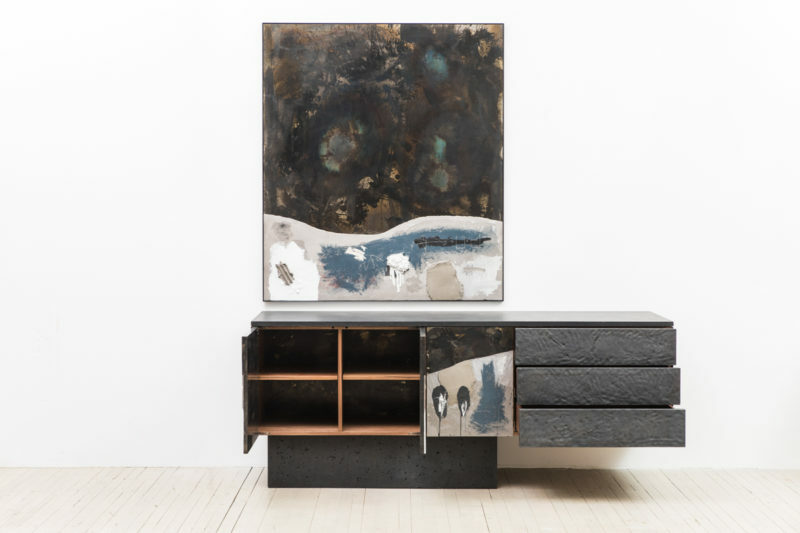 His describes his work as sculpture that just happen to be functional – the utilitarian becoming a canvas for the aesthetic endeavor. 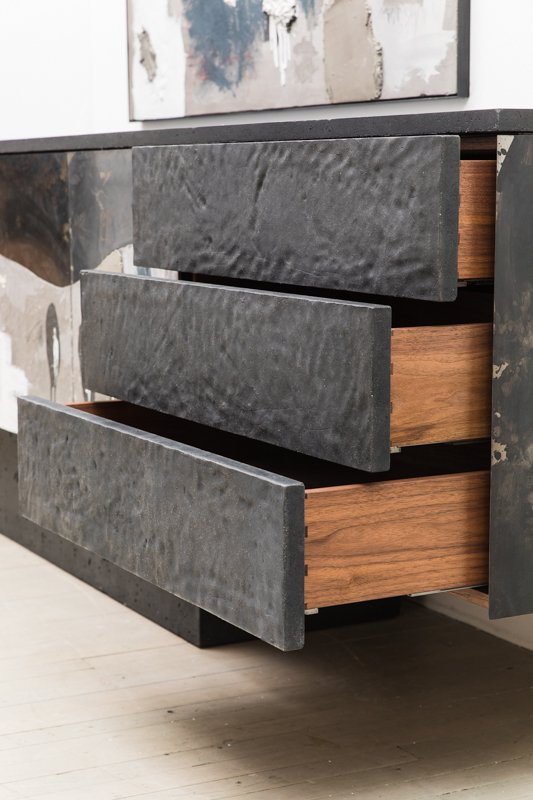 The fascia of each piece conveys movement, action, and intuition, providing a stark counterpoint to the meticulous construction and composition of the functional skeleton underneath.